I’m recently read a wonderful book, The Big Enough Company, upon the recommendation of a former client. She'd just had an interesting experience. 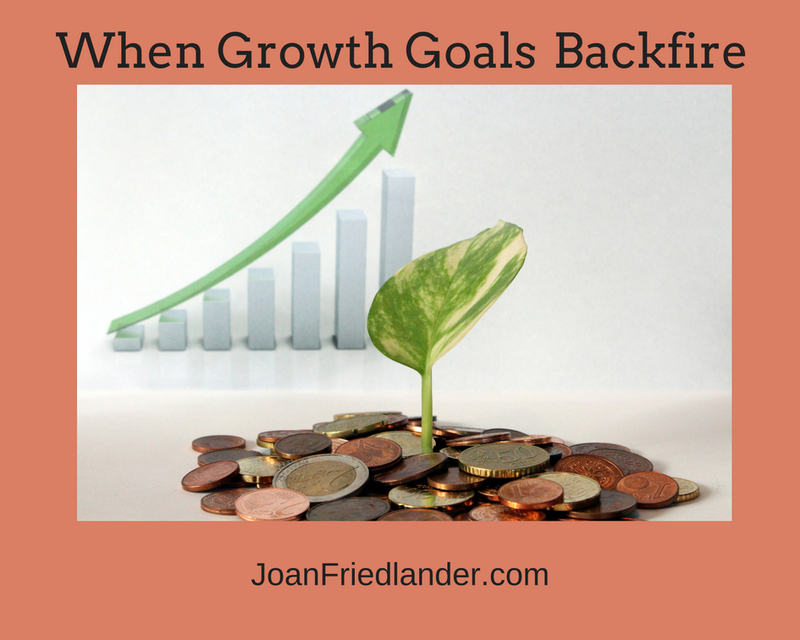 She discovered the down side of her growth goals. When she hired me several years ago, it was to help her make decisions about how to expand her team in response to the increasing demand for her services. Her daughter was 3-years-old at the time and she was torn between wanting to serve more clients and her strong desire to spend at least one, if not two, weekdays with her daughter. She hired her first sub-contractor during the time we worked together, someone who could take on some of the outreach and also a portion of the new client load. 18 months later (we worked together for 6 months) she moved out of her home office into an office where it would easier to bring in a full-time assistant. When I talked to her a few weeks ago, she shared with me that as much as she loved the growth, she didn't love her new role in the business. She had less and less time to do the work she most enjoyed, and was spending more time managing than engaging directly with clients. The Big Enough Companyhelped her reconnect with her priorities, something she felt especially pressured to do as she’s now expecting another child. She is taking back the client work and keeping the assistant. In order to serve more people she’s putting more emphasis on group programs (her company helps high school students vet colleges and universities and prepare quality applications) and becoming comfortable with her need to limit the number of personal clients she can take on at one time. Healthy or not, complicated circumstances or not, if you’re feeling any level of stress regarding your business – or your job – you may only need to reexamine your motivations in order to assess potential conflicts. Examination of your motivations may uncover potential conflicts. How can you make a good living (financial sufficiency) and flex with an ever changing range of physical capacity? As Claudia discovered, the answer lies with clarity about non-negotiable priorities, and an ability to create a suitable business model. What are you top 5 motivations for being in business? Are there any potential conflicts between your top priorities? If so, what are they?